These Spa Resource brushes are giving my EcoTools brushes some competition. I was in Wal-Mart the other day looking for a plastic storage unit when somehow I ended up in the cosmetic department. I was just browsing through some nail polishes when I saw these brushes. I heard some good and bad things about them but I decided to try it out for myself. 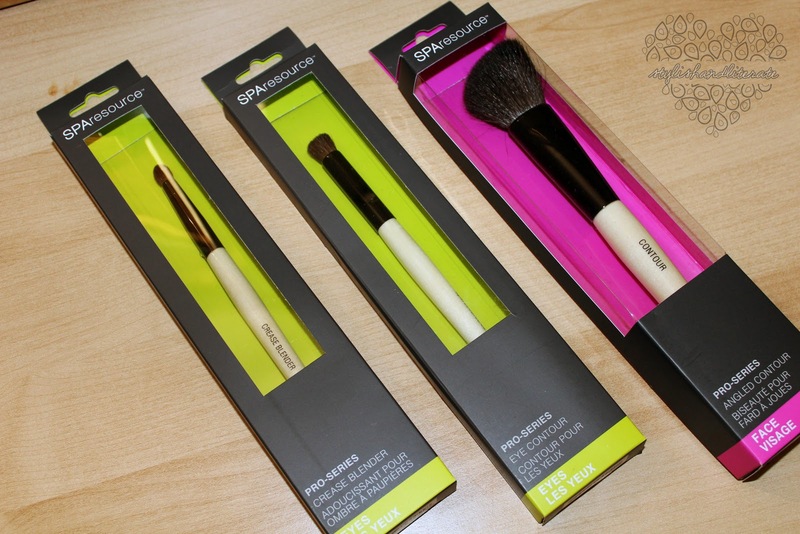 I got one face brush (contour) and two eye brushes (eye contour & crease blender). I was really pleased with the quality: the hairs (which are supposedly all natural) are really soft, the handles feel great in the hand (almost like a paint brush), the ferrels are secure, and they don't shed (at least from my experience of washing them once). I like that there's variety of brushes in this collection. 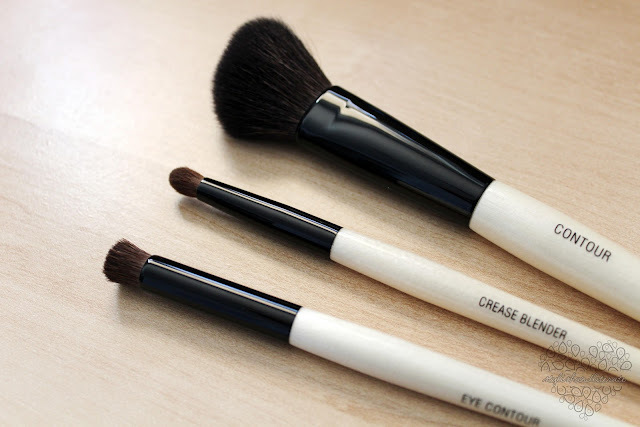 Unlike EcoTools that just has a few face and eye brushes, Spa Resource has a lot of different brushes to help you create the perfect look. Plus they're so affordable. The eye brushes are under $5 and the face brushes are under $12. Craziness. 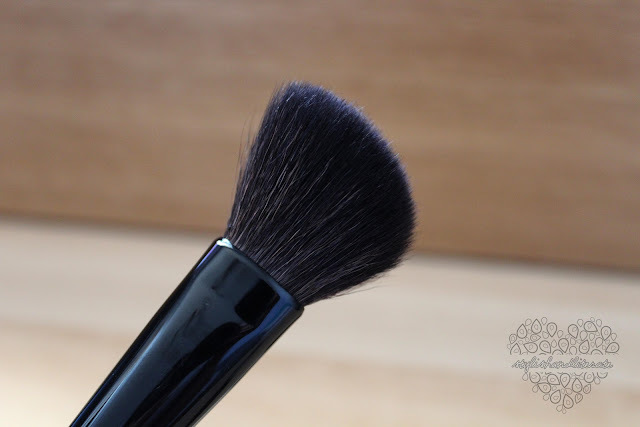 I'm really loving the contour brush for blush and bronzer, I think it's my new favorite. 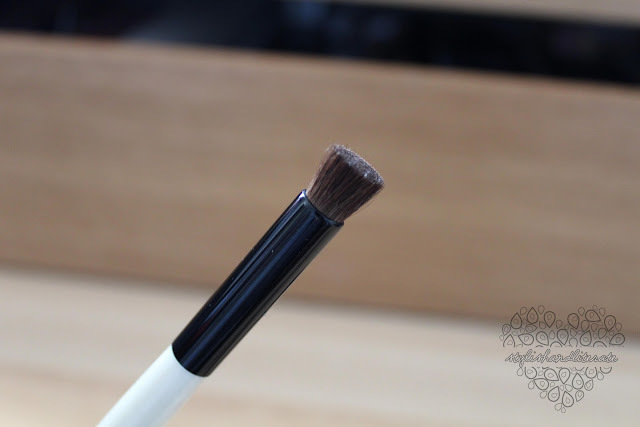 The crease blender brush is nice, too. Great for the hallows of the eye and for blending. 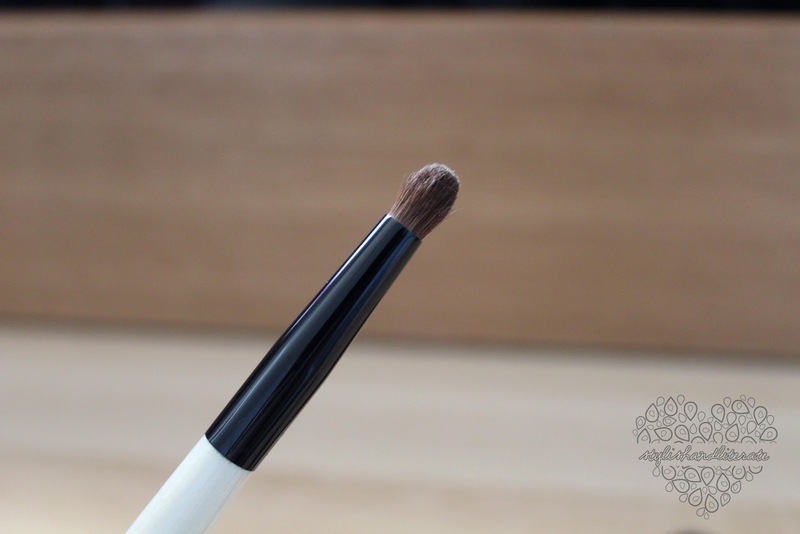 I haven't tried the eye contour brush on the eyes but it works nicely to buff out concealer. 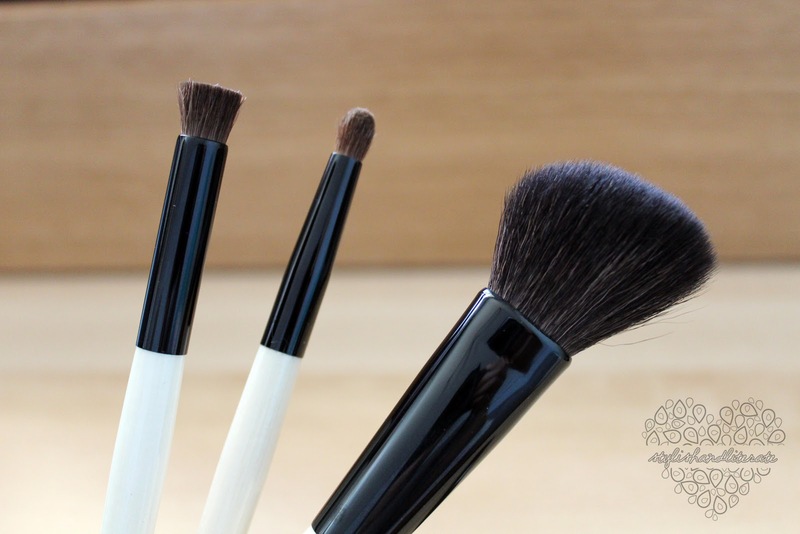 EDIT: I just realized how similar these brushes are to the look of Bobbi Brown brushes. I didn't notice until I was putting them away. I got a new phone case! It's so cute. My mum actually bought it for me and I didn't ask where she got it from. It's Hello Kitty! I couldn't say no. My mum knows me too well. It looks red, but it's a really dark pink. Uber cute. I love it. It's hard plastic, but unlike the TNA case, it doesn't have a rubberized coating over the plastic so there's no chance of peeling. Very happy :). I'm going to Wal Mart as soon as I can! @Cynthia it does seem funny! Like I said, I have yet to use it actually apply shadow but I will definitely do a little demo on it :). @Anne Lise they're definitely great value! I heard that the stippling brush sheds a lot. So beware of that. I haven't had any problems with the ones I got though :). @generationlove they're really great!! I was pleasantly surprised with their quality :). I love using them! I bought the Stippling brush- it is AMAZING. It's definitely given my MAC one a run for its money.